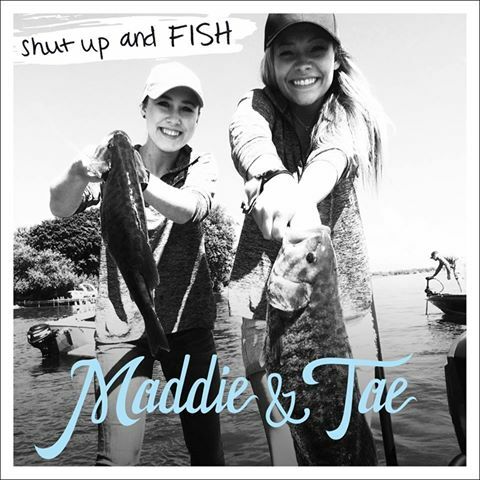 Maddie & Tae are the hottest female country duo in the world right now, but we never would’ve guessed they had talent with a fishing pole—that is, until we heard their newest single “Shut Up and Fish.” Maddie Marlow and Tae Dye turn up the sass on this honky-tonk flavored jam. 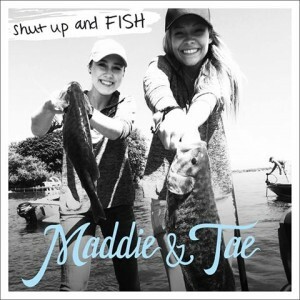 “Shut Up and Fish” follows Maddie & Tae as they go out to the lake with their love interest, only to find he’s more interested in getting some action than catching fish. After repeated attempts to get him to back off, the duo harmonizes so innocently: “I finally had all of him that I could take / so I gave him a cold shower in the lake / What can I say?” It’s a punch line for the ages. The song is set against some twangy guitars and punchy bass drums, making this Maddie & Tae’s most country-sounding single yet. Believe it or not, “Shut Up and Fish” is actually a true story. Clearly the city boys were no matches for these girls. 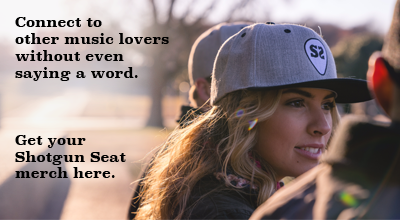 Watch them talk about the tale behind the track here.